Baby girl turns one this week (WHAT), and I've been going through her nursery in preparation for our move. We take a pretty minimalist approach when it comes to baby gear; we think babies can be happy and healthy without a million toys, three different types of rockers, and multiple stroller systems that you have to remortgage your home to afford. 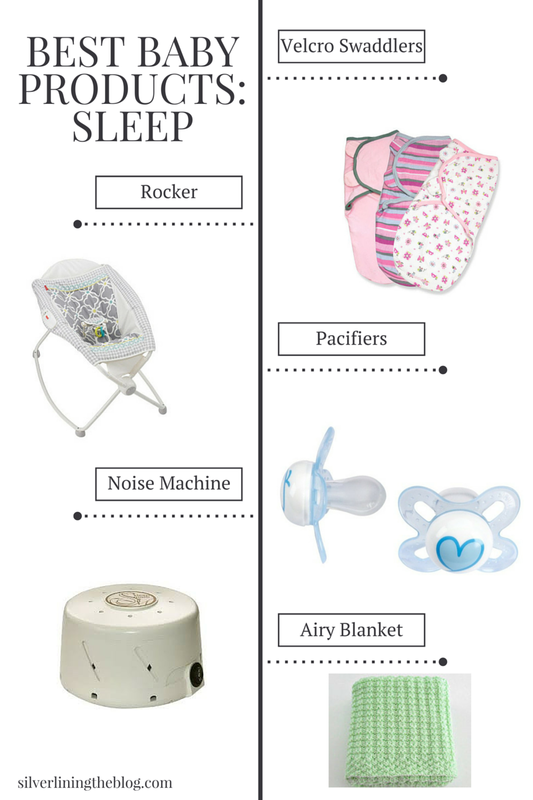 If you're expecting a baby or have a baby shower coming up, hopefully this will be useful to you as you see popular items that my baby loved. I broke it down into a few sections. First up: sleep! *All of these are clickable links. Click on the name in the description to view items, prices and color options on Amazon. I didn't think I'd need these, but my cousin lent me some, and we ended up using them every single day for the first three months! They are so easy and convenient. There are lots of color options too. We had a fancy plug-in rocker, but we also loved this portable one. I used to drag it into the bathroom every morning so Claire could take a nap and I could peek out at her while I showered and got ready for the day. I have heard excellent things about the Mamaroo as well. Some babies take any kind of pacifier, some take only one certain kind, and some don't take any at all. We tested one of each brand and Claire ended up with these Mam brands. Tip: If you don't care for the design, a quick swipe of nail polish remover on a cotton ball will take it right off! This was especially helpful when we went on vacation with my loud family, or when the lawn maintenance crew used to use loud machines every Wednesday morning while Claire was trying to sleep. This one was a great value, and I'm really impressed with the quality too. 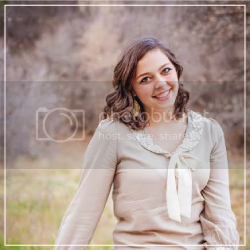 This was handmade by Claire's great-grandma, so I have no clickable link. Sorry! We love light, breathable blankets on warm nights and car trips. These bibs were originally manufactured as art smocks, but they are the only thing that keep Claire clean during meal times. We use them every single day, and I love that I can just throw them in the washing machine. Another everyday use item! We used the Bumbo for sitting up practice, and then we attached the tray and used it as a high chair until she was nine months old and grew out of it. Definitely worth your money! This is the only sippy cup Claire will use. Any suggestions on how to get her to drink from a regular sippy cup? Or maybe it doesn't matter and she can just start drinking from a regular cup? When I was nursing and supplementing with bottles, Tommee Tippee was our favorite bottle brand. We also love our Avent bottles, which have held up well after months of use. Part two, all about our favorite products for travel, play, and wear, can be found HERE. Thanks so much for reading along! 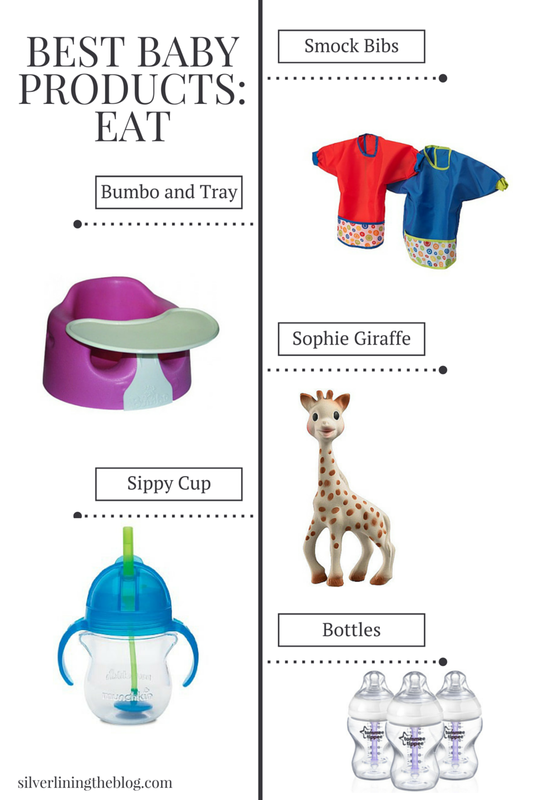 Which items do your little ones love? What should I add for any future babies?